No Showers Tournament Games for Saturday 4/20 will begin at 11am. Please check tournamentusa for updated schedules. Games for Saturday will have 1 hour time limits with 10 minutes between games. 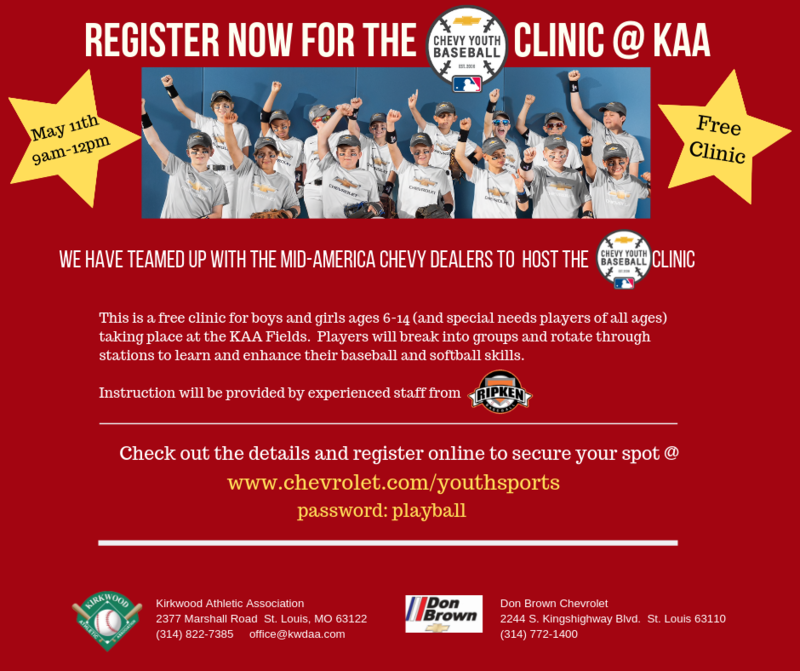 Also, the KAA Free Softball Clinic scheduled for Saturday 4/20 has been cancelled. 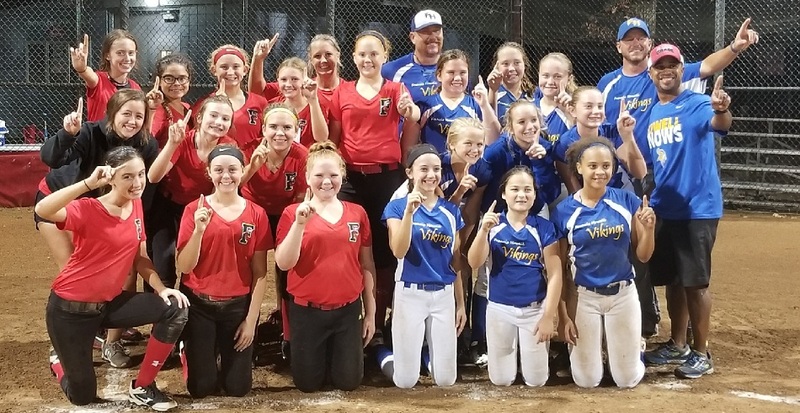 Following the release of the 2019 No Showers Tournament schedule on Sunday, April 14th, it came to our attention that a mistake had been made in the pricing and game guarantee for this tournament. 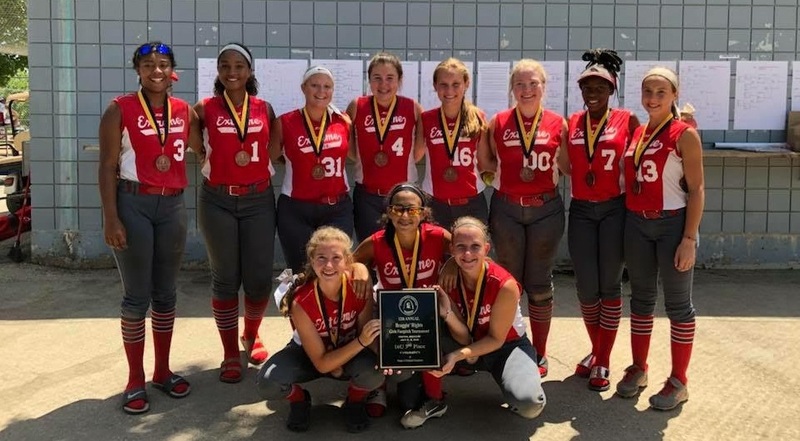 It appears it was communicated to most teams that the $425 entry fee was for a guarantee of 3 pool games plus one bracket, or elimination game, for 4 games total. Unfortunately that was not correct. The actual guarantee, as reflected in the schedule just released, is for 2 pool games and 1 bracket game, for a total of 3 guaranteed games. KAA apologizes for that error. In order to remedy the situation as a result of the erroneous information referencing a 4 game guarantee, ANY TEAM WHICH PAID THE $425 ENTRY FEE WILL BE ISSUED A PRO RATA REFUND OF $106.25. Please contact our office directly at office@kwdaa.com if you have any questions regarding our refund procedures. 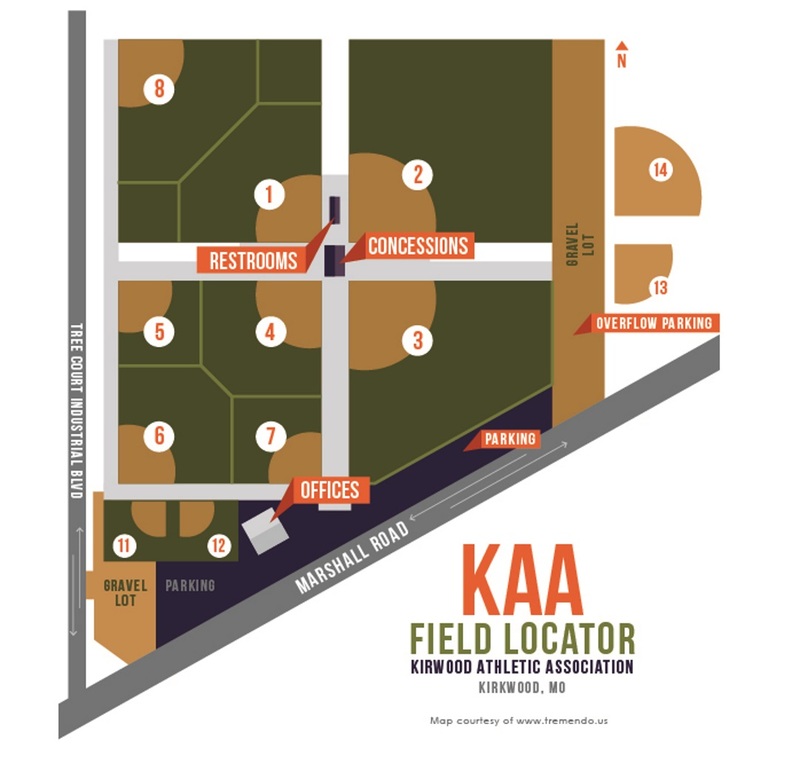 KAA apologizes for any confusion, or hard feelings, this misinformation caused. It should be noted that, as referenced in our tournament information, KAA does reserve the right to amend schedules and guaranteed games, these actions are only undertaken in extraordinary circumstances, such as inclement weather after a tournament has begun, and NOT taken lightly. Again, KAA apologizes for this misunderstanding and thanks everyone for choosing KAA to play in 2019! PLEASE REMEMBER THAT WE DO NOT ALLOW OUTSIDE FOOD OR BEVERAGES IN THE PARK AS WELL AS NO PETS! 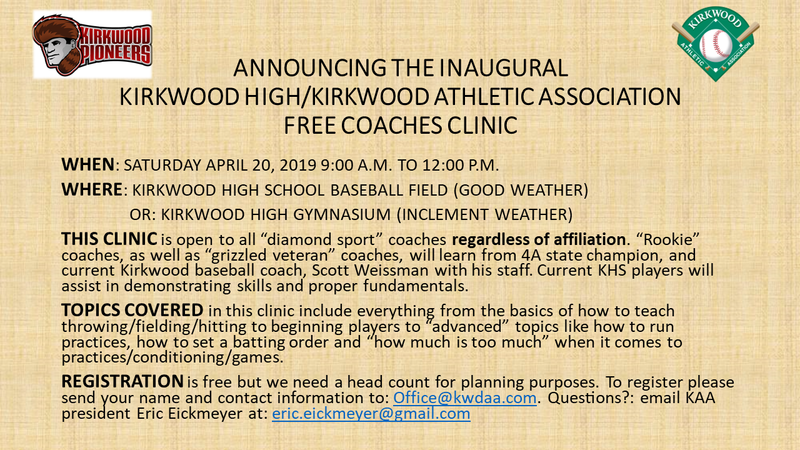 Kirkwood Athletic Association is a private non for profit organization that has been serving children in Kirkwood and surrounding communities since 1960. 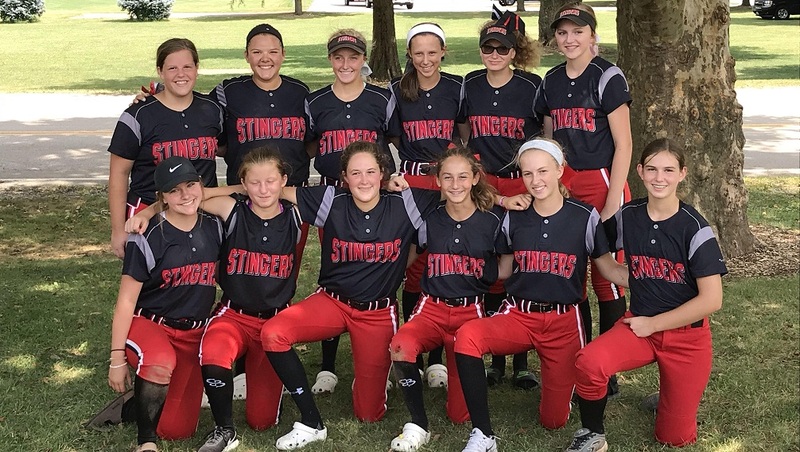 We offer youth baseball and youth fastpitch softball at our beautiful and well-run facility in Kirkwood, MO. 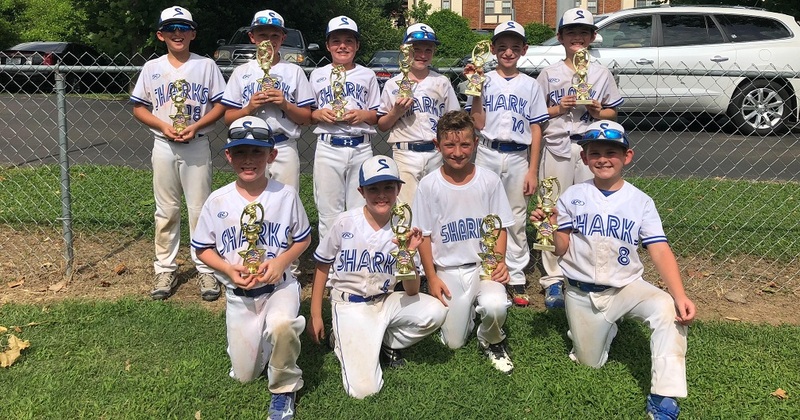 The Matt Carpenter Youth Baseball ProCamp will be held June 3, 2019. Visit mattcarpentercamp.com to register. Use Promo Code KWDAA to save 10%. Field Crew is hiring for the 2019 baseball/softball season. Applicants must be able to work nights and weekends and be at least 16 years of age. Starting pay is $10/hr. Responsibilites include dragging and lining fields, picking up trash, cleaning bathrooms, placing mounds, cutting grass and other park needs. Interested parties need to contact Mike at 314-267-8426. This is a seasonal job and begins in March and runs through October. No previous experience necessary. Coaches: our rainout line is now up and running. 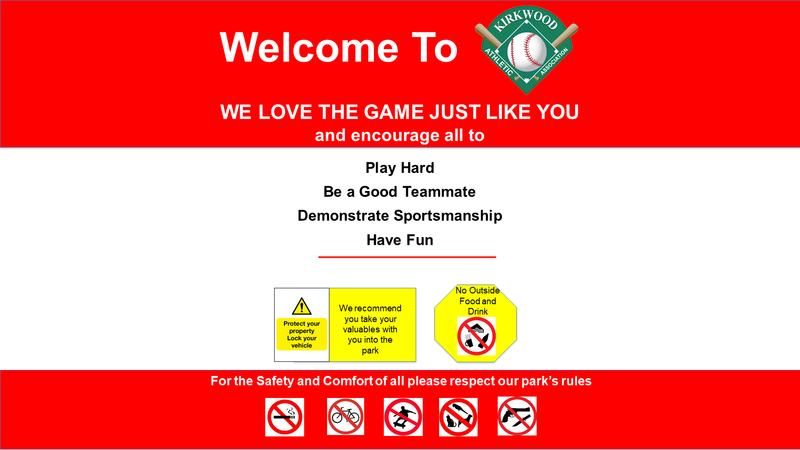 You can use this as your source for updates on park status. Parents: please continue to use our facebook page or website for updates.